Gearboxes are complex and costly components that often limit the technical lifespan of moving machinery such as robotics. In order to revolutionise the application of robotics, a smaller and cheaper drive is needed. IMSystems developed such a drive. Key are the patented “flex-rollers”. These elastically deforming hollow rollers are used instead of teethed gears to transfer torque. 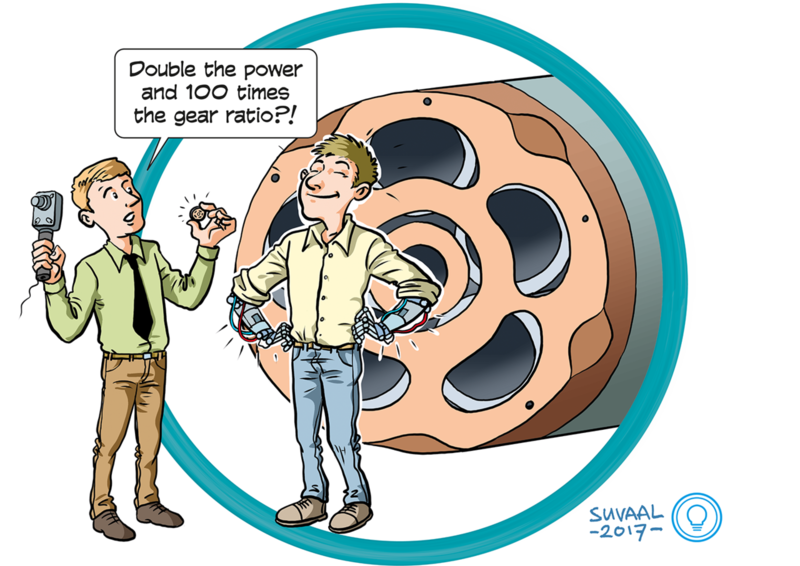 The device offers superior gear ratios (up to 10.000:1) and double the power density at lower costs as alternatives. The technology is infinitely and relatively easy scalable, enabling fast translation from idea to product. First commercial applications have been realised at scales ranging from robot to wind turbines.